Oh, Shelby. Where have you been? 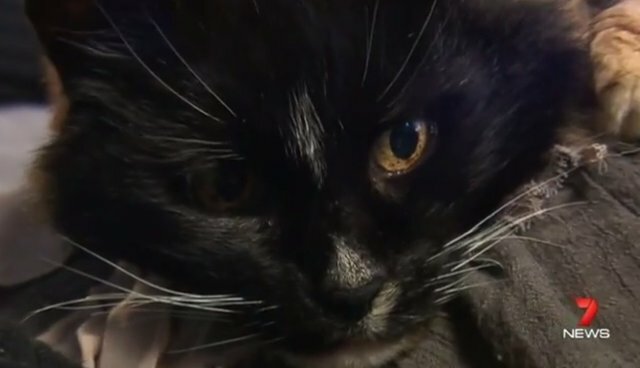 That's what one family in Geelong, Australia is asking after their wayward cat -- who went missing one day back in 2001 -- suddenly decided to show up again in their lives thirteen years later. 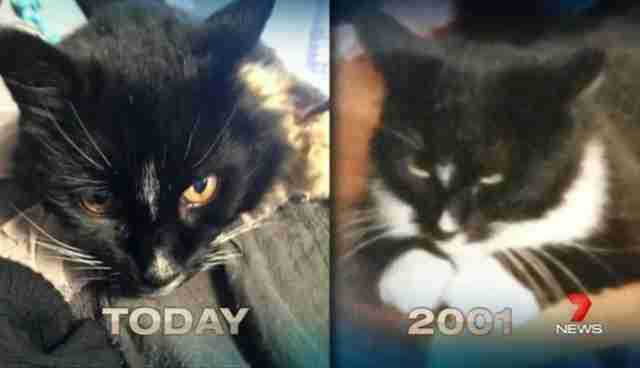 When she returned home and dug up an old photo of her very long-lost cat, the white markings matched with the new arrival. In disbelief, Paula hurried back to the vet's office to make sure she wasn't seeing things. "When she brought the picture back in, it was spitting image," says nurse Ebony Deglaitis, confirming that the cat was indeed their Shelby. The Harper-Adams family say they have no idea where their cat has been for all these years, but that they're happy to have her back anyway.